As promised, the latest version of CCCP now sports a setup program. 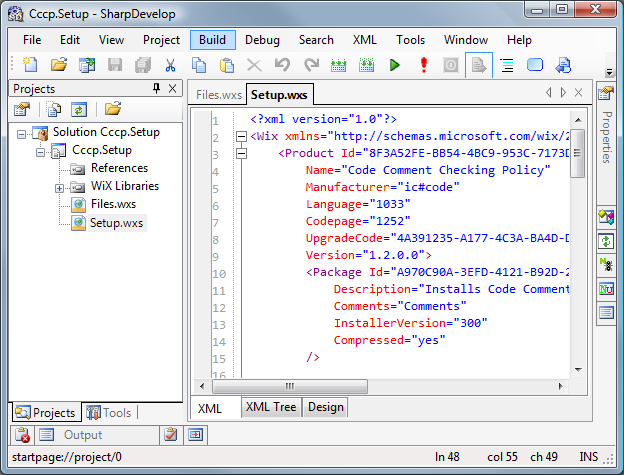 Setup is based on WiX, and has been created using SharpDevelop's WiX support. A special thanks flies out to Matt Ward, who provided me with the initial skeleton of this setup project. 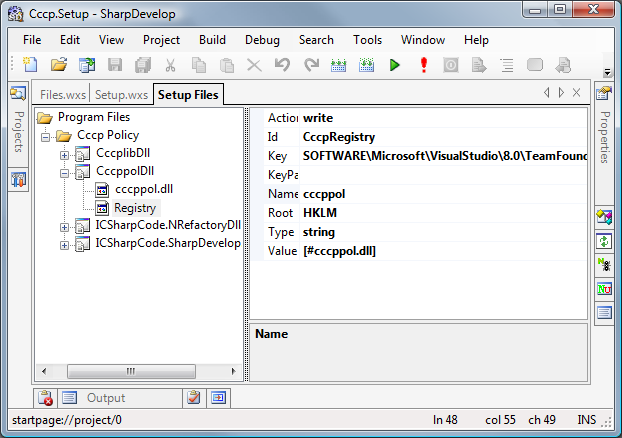 Please note, however, that you must use the bits from our build server because Beta 3 of SharpDevelop 2.1 doesn't work correctly with this setup project (\Source\Setup\Cccp.Setup.sln). There are four assemblies included in this setup project, with three being installed to the GAC - only cccppol.dll is copied to the target directory, and it has a registry key associated that enables the policy within VSTS. This is a change to previous versions of the policy that used ILMerge to pack those four assemblies into one. 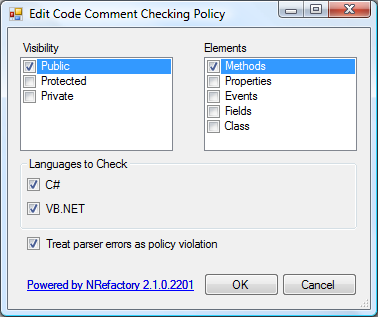 The new options make hard-coded values from previous versions accessible to the administrator. Please note that this will force you to remove & then add the policy back to your team project if you used previous versions of CCCP (serialization changed). With this release I declare the CCCP feature-complete, at least when it comes to the features that I need. If you have further ideas for improvement, let me know by adding a comment to this post. If you find bugs, please let me know too. Oh, and if you like it, let others know! Post Scriptum: yes, the MSBuild task hasn't been implemented yet. But the policy is done. If you're interested please send me an email.